Amid the breathtaking landscape, your log home will become the perfect reflection of your location and personal style. PrecisionCraft has earned a reputation for creating the world's most distinctive mountain style homes for our clients. By combining extraordinary design with authentic log and timber construction, we have distinguished ourselves from other log home manufacturers and custom home builders. No matter where you plan to build your custom home, our specialized team of experts will work closely with you to capture your unique vision and transform that vision into a stunning log or timber home. Our homes have been built throughout the US, Canada, and around the world in places like Australia, Japan and the Mediterranean. M.T.N Design is the exclusive in-house architectural firm for PrecisionCraft Log and Timber Homes. PrecisionCraft has invested in the creativity and technical expertise of professional design services in order to provide you with the absolute best starting point for your custom home project. Every log home project is unique because every client is unique. We created our signature Total Home SolutionSM so that we could cater our services to your exact needs. We give you the ability to choose the design path and construction solution that will work best for your timber or log home project. Choose a design option and select your construction solution. 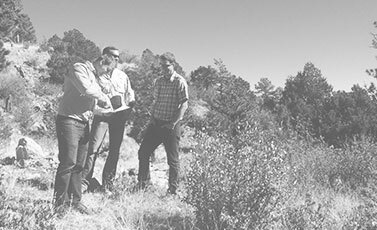 Meet with the dedicated client representative for your area to discuss your project goals. We can walk your land and answer questions about building your custom log or timber home. SEE US IN A MAGAZINE? 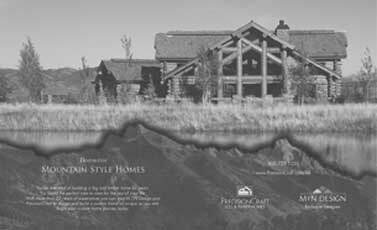 We feature a variety of luxury timber and log homes in our print advertisements. Learn more about these custom homes when you browse our recent ads. Our latest floor plan design concept is the Boone. It is an Appalachian inspired plan, originally designed as a timber frame home. As you look through our photo gallery of finished homes or browse our floor plan concepts, you will discover a variety of log homes and timber homes which display the characteristics for which PrecisionCraft has become famous. Mixtures of wood, stone, glass, metal and shake interact together with exciting architectural profiles and unexpected details to create one-of-a-kind mountain style masterpieces. Let our award-winning design team create a home that matches your vision. 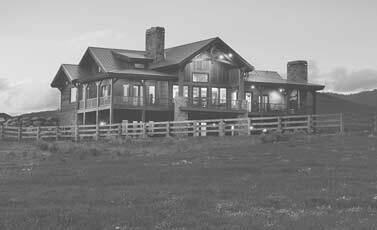 With more than 25 years experience, PrecisionCraft and our in-house firm, M.T.N Design, lead the industry in the design and construction of luxury log homes. We are a committed timber and log home builder whose homes are a direct reflection of your unique vision, location and budget. All our homes are of the highest quality and are as energy-efficient as the are beautiful. Our custom log homes are not like the kit log cabins built by other manufacturers. Our award-winning log homes showcase more diversity of styles, sizes and uses than others in the timber and log home industry today. We are dedicated to fulfilling your mountain style home dream.